Why would I need self storage in Pearl City, HI? There are a variety of reasons why you might need self-storage in Pearl City, HI. How much is a storage unit in Pearl City, HI? The cheapest storage unit in Pearl City, HI is $62.00 per month. What size storage units do you have available in Pearl City, HI? In Pearl City, HI we have sizes that range from 2'x5' to 10'x30' to suit your storage needs. How much is it for a 2'x5' storage unit in Pearl City, HI? The cheapest 2'x5' storage unit in Pearl City, HI is $62.00 per month. Just west of downtown Honolulu along Oahu's south coast is Pearl City, Hawaii. Best known as the site of Pearl Harbor, this coastal town is home to a population that has grown significantly in recent decades. Pearl City is close enough to Honolulu to offer all the conveniences of living in the "Crossroads of the Pacific," while just far enough away to provide a bit of a respite from tourist traffic. This area in particular has a high number of people employed in the armed forces. 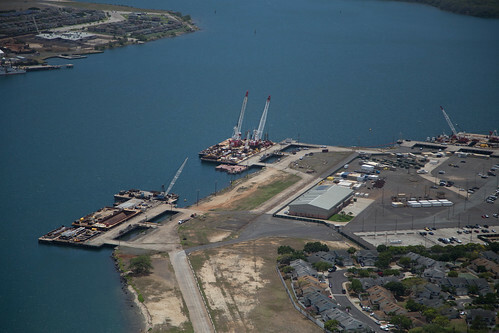 In addition to the prominent military presence, Pearl City features a blend of commercial, industrial and residential areas. In its earliest days, Pearl City was home to a number of rice paddies, plowed by water buffalo pulling two-wheeled carts. In the 1880s, Benjamin Franklin Dillingham (a businessman and industrialist) chose Pearl City as the last stop on his Oahu Railway, which was not so much a railroad as it was a horse-drawn mud wagon route. Eventually, in 1889, the Oahu Railway evolved into an actual rail line, and lots in the area were advertised for sale. Like many Hawaiian locales, Pearl City evolved into a popular tourist destination in the 20th century. One of its well-known highlights was Remond Grove, a music venue that hosted piano, banjo, saxophone and trumpet performers. One of the most distinctive features of Pearl City is its proximity to tourist attractions. The Waikiki beachfront and downtown Honolulu in particular are hot spots for travelers, and many locals make day trips to the area on weekends. You should be prepared for traffic and some crowds in the area, though you can find quieter, more residential areas throughout Pearl City the farther you get from tourist locales. Popular attractions in Pearl City include Pearl Harbor, Ford Island and the Ko'olau Range. There are many perks of living along the southern coast of Oahu, including a stunning tropical setting, a comfortable year-round climate and ample recreational opportunities. Pearl City schools are under the jurisdiction of the Hawaii Department of Education, which is split into several smaller districts. There are two main districts that serve the students of Pearl City: the Waimalu CDP and the Pearl City CDP. The University of Hawaii–Leeward Community College provides a conveniently-located higher education option within Pearl City. Utilities: Pearl City's primary utilities providers include Hawaiian Electric and the Board of Water Supply. Garbage and Recycling: Pearl City assigns trash and recycling collection schedules based on your home's specific location. You can look up your address to determine your specific collection days. Transportation: A network of public bus routes makes it easy to get around the city. Nearly any city in Hawaii has a very expensive housing market, and Pearl City is no exception. The median home price is several hundred thousand dollars higher than the national average, but about even with averages in Honolulu. Housing options include apartments, condos, town houses and single-family homes, some with amenities like yard and swimming pools and some without. Our lowest priced units in Pearl City, HI average $69.00 per month. 109 people have reserved units in Pearl City, HI in the past 30 days. There are 2 locations within Pearl City, HI's city limits. There are 2 locations in Pearl City, HI that offer AC and Heating features.